Need Club gear well get it here! All things related to the planning and execution of our Annual CANVAZ events. Annual Club Volunteer Weekend for the #Flag2GC Bike Run, it's an awesome overlanding retreat! Ready to get involved? Have an opportunity for others to get involved? Post it here! Going wheeling? Exploring? Camping? Movies? Dinner? Post up here & openly invite others. in Re: Past ToTM Winners! Share your rig here & check out what others are driving. Share your non-Nissan rig here & check out what others are driving. Wanna get out & enjoy the AZ backcountry? Got a stock Xterra? These are some great trails for everyone. Got some 'mods' on your Xterra? These are some good trails to test your skills on. Have a SAS, Titan swap, lockers? Enjoy carnage & body damage? Check out these trails. 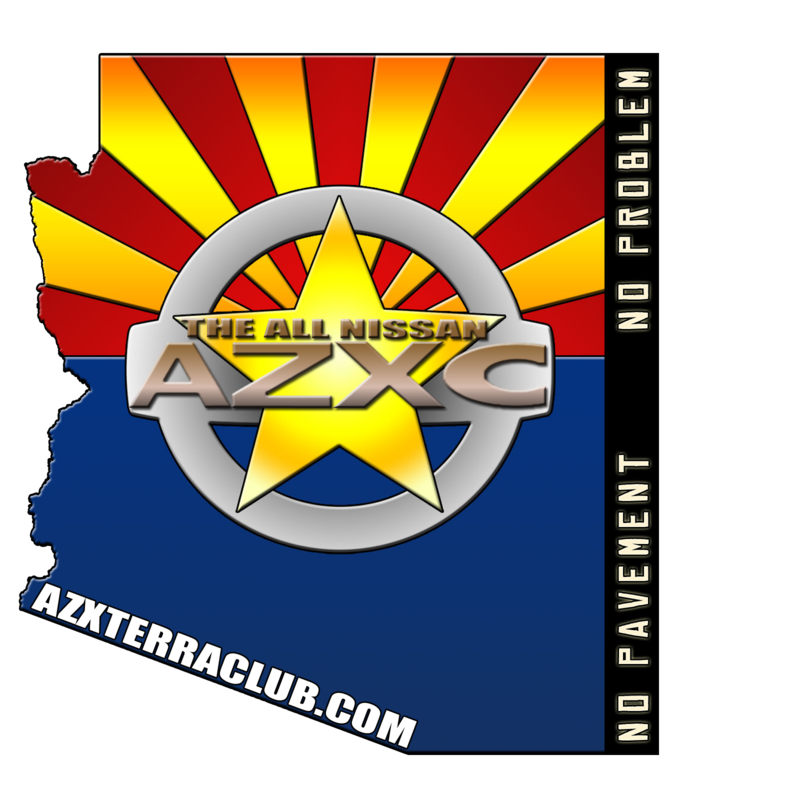 If you're new to AZXC/AZFC/AZTC introduce yourself here. Interested in learning or sharing your knowledge of Amateur Radio? Check Here! Post up reviews of your gear/equipment for your truck! Sponsor threads Too so please be good to them, if there is an issue with a sponsor let the admins know first. Everyone loves pics & vids - post 'em if ya got 'em! Get a recall notice and want to share it? See an X, Fronty or Titan you want to give a shout out to? This is the place. It is AZ, so post up pics or anything firearm related. If you're into finding stuff check here. Post your stuff & name a price. Delete when sold to keep it clean. 20964 Posts in 2027 Topics by 321 Members.